Kraushaar Galleries celebrated its 125th anniversary in 2010, an historical milestone reached by very few in this highly competitive business. Its chronicle represents an important history of American art regarding the artists they represented, and the people and institutions who purchased their work. Kraushaar has long connections with the urban realism of The Eight, the result of its many years of representing the work of George Luks, John Sloan, William Glackens, and Maurice Prendergast. Artists who shared their commitment to American realism were also handled by the gallery, including Guy Pène du Bois and Gifford Beal. But Kraushaar had equally significant connections to American modern art. For instance, it was Kraushaar who brokered the sale of Charles Demuth’s iconic painting My Egypt (1927) to Juliana Force for the Whitney Museum of American Art in 1931. The gallery had established a fluid and cordial relationship with Demuth’s primary dealer, Alfred Stieglitz, and for more than twenty years made steady sales of the artist’s work. The many artists whose work Kraushaar has sold represented a broad definition of modernism. With some, the gallery maintained relationships of thirty, forty, and fifty years; these continued with succeeding generations of the artist’s families. For John Sloan and Gifford Beal, the gallery has been involved with each their work for nearly one-hundred years, working with their estates for a longer period of time than when the artists were alive. Such loyalty on both sides is remarkable. C.W. 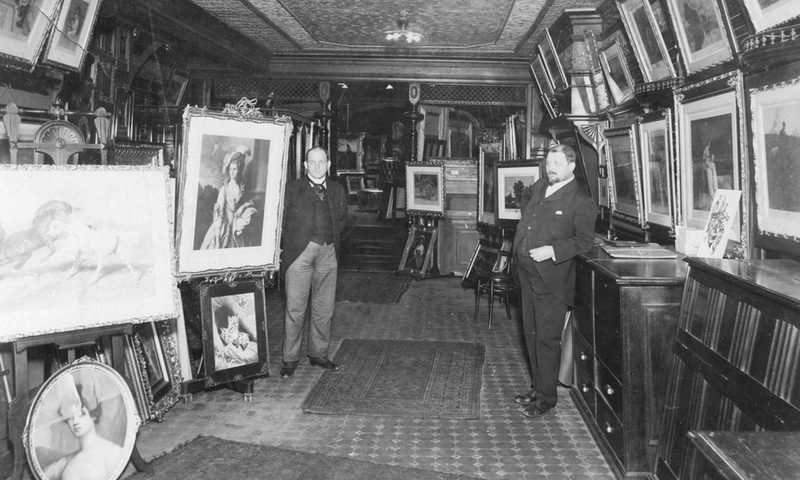 Kraushaar opened the gallery in 1885, and was joined by his brother John the next year. The business did not start out as a fine art gallery, but gradually “prints after” were supplemented by “prints by,” as original works of art were added to the inventory of inexpensive photogravures and engravings. Contemporary Dutch and Barbizon painters were favored. C.W. Kraushaar was a traditional dealer in the European mode and the dignified interior of the gallery was aimed to make collectors feel comfortable. Henri Fantin-Latour’s first American show was seen there in 1890. In 1896, Kraushaar held its first documented exhibition of an American artist, presenting twenty-five paintings by Augustus Vincent Tack, the young artist’s first solo exhibition. Other shows in the teens featured work by John Lavery, Gustave Courbet, Jean-Baptiste-Camille Corot, Henri Le Sidanier, Edouard Manet, Berthe Morisot, Jean-Louis Forain, Georges Roualt, Edouard Vuillard, Ignacio Zuloaga, and Albert Pinkham Ryder. The gallery’s first phase ended abruptly in January 1917, when C.W. Kraushaar died of a heart attack at the age of sixty-three. He was about to unveil Whistler’s Harmony in Grey and Peach Colour (1872–74, Fogg Art Museum), a stunning new purchase from Agnew’s in London. John took over the gallery after his brother’s death, and his daughter Antoinette began her long career that year. Possessed of an outgoing personality, John and George Luks, who would make his debut at Kraushaar in 1913, played baseball together, an experience had taught him that “artists were simple enough as men and could miss a ball as easily as any.”* Stirred by the Armory Show of 1913, John began to add more modern European and American artists to the gallery’s inventory and presented works by leading Post-Impressionist and School of Paris artists, including Henri Matisse, Pablo Picasso, Georges Braque, André Derain, Amedeo Modigliani, André Dunnoyer de Segonzac, Paul Gauguin, Constantin Guys, Auguste Rodin, and Vincent Van Gogh. Through his regular visits to galleries in Holland, he had developed an interest in Dutch art. Ever willing to explore new possibilities, the gallery presented paintings by Scottish colorists John Duncan Fergusson and Samuel John Peploe in exhibitions that were amongst their first American shows. Under John’s management the gallery established its reputation as an important player in the New York art scene, regularly mounting innovative exhibitions that mixed European and American work. The Depression hit the gallery hard, and although sales were lean, Kraushaar managed to stay in business. When John retired in 1939, Antoinette took charge of the gallery. Antoinette continued her father’s commitment to contemporary American artists, broadening her stable of younger painters whose affordable prices made them accessible to a new generation of collectors. That the annual European buying trips ceased in 1929, spurred greater focus on American art. New artists joined the gallery during this period, including painter Louis Bouché. John Koch made his debut in 1939. The gallery continued to take on new artists during the forties. Among those whose work was regularly presented for decades were Karl Schrag, John Heliker, and William Kienbusch. Early American modernists like Marsden Hartley, Lionel Feininger, and Robert Laurent were shown during this period, maintaining the aesthetically diverse mix that had long been the gallery’s strength. When Antoinette inherited the business in 1946, she found herself the senior figure of the group of women who had established galleries that regularly showed contemporary American art. She began the fifties with a Maurice Prendergast retrospective, an artist whose work the gallery had promoted for nearly forty years. During this decade, the gallery’s roster continued to evolve, and she took on several artists whose careers had begun in the teens and twenties, including Peggy Bacon, Marguerite Zorach, and Andrée Ruellan. The gallery’s stable remained eclectic, and it was not locked in to single style, broadening customer opportunities. A strong focus remained landscape, figure painting, still life, and a small group of sculptors. In 1981, Antoinette moved to a new space at 5th Avenue and 57th Street. At the age of seventy-nine, she could easily have retired, but she saw no reason to do so. She had enjoyed the business too long to stop. She also knew that Carole Pesner, whom she had hired in 1959, was committed to the gallery. Antoinette retired in 1988, and her death in 1992 brought to an end to her family’s century of art dealing. Antoinette Kraushaar’s decision not to close Kraushaar Galleries in 1981 signaled her commitment to the future, a decision reinforced by the two women who have continued the business. In 1986 Carole was joined by Katherine Degn, and together, they have built upon the solid foundation of the gallery’s long history, while continuing to develop the roster of artists Kraushaar represents, insuring the continuation of the values that have long defined the gallery. 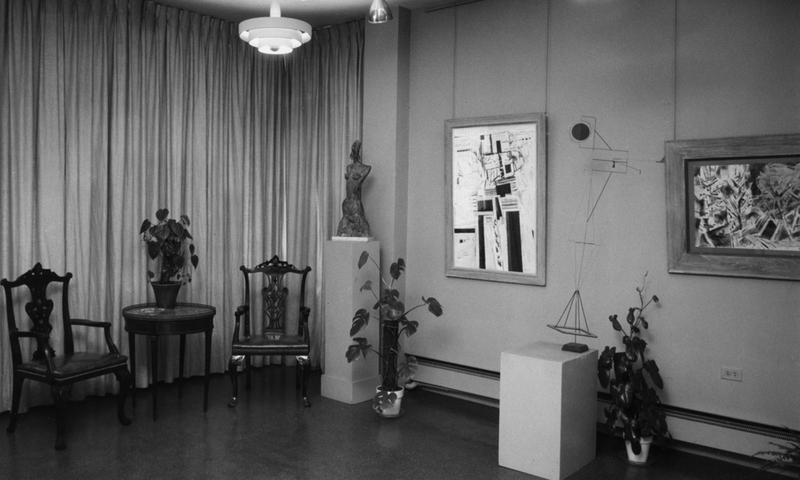 Beginning in the eighties, the gallery took on more women artists, including Dorothy Dehner and Esphyr Slobodkina, the latter a founding member of the American Abstracts Artists in 1936. New media arrived as well, with John Gill’s ceramics in 1996. The year 1993 opened with a remarkable show “Significant Others: Artist Wives of Artists,” a display that referenced the dramatic changes that had occurred in the art world since the seventies. The exhibition brochure explained its inspiration: “What began as the frustrating answer to an incessant query: ‘Yes, Marguerite is the wife of the sculptor William Zorach,’ developed into the realization that there were many wives we never realized were also artists.” Kraushaar’s exhibition was an important one that presaged later shows and publications organized by major museums that restored these artists to their proper place in the canon of American art history. The gallery has maintained a remarkable ability to embrace new voices while remaining committed to earlier gallery artists. Catherine Drabkin, who was given her first show in 1995, paints richly colorful interiors and landscapes. Kraushaar has long favored artists who infused tradition with fresh viewpoints, and new voices at the turn of the 21st century included handsome landscapes by Langdon Quin and Henry Finkelstein. Early American modernism and realism has remained a strong thread and Kraushaar has presented solo shows of the work of Maurer, Glackens, Hartley, and Sloan. During the summer of 2014, Kraushaar moved to its current location on the Upper East Side at 15 East 71th Street and Carole Pesner retired. Kraushaar’s primary focus remains American art of the first half of the twentieth century, though they continue to represent contemporary artists, Catherine Drabkin and Lee Walton. Drabkin’s representational paintings and Walton’s abstract systems drawings continue the gallery’s long-term aesthetic strengths. *Guy Pène du Bois, “John Francis Kraushaar,” Arts Weekly 1 (May 1932): 197. **John Sloan, New York Etchings (1905-1949), edited by Helen Farr Sloan (New York: Dover, 1978): plate 60. ***Van Wyck Brooks, John Sloan: A Painter’s Life (New York: E.P. Dutton, 1955): 105.